I never got into records, but inherited the turntable my parents used in their hifi system. My friend from the millennial generation is fascinated in older things. Vinyl records, tweed jackets. To him I explained the concept of a stereo component system. There's the turntable, which doesn't make sound. Then you have to have the amplifier, that usually had an AM FM tuner included. Then the stereo speakers; all hooked together with wires. It took up loads of room on a bookcase along with my dad's record collection. I haven't used stereo systems, myself, but have recently jumped into the MP3 world. My entire music collection is on a chip smaller than a thumbnail. That old turntable got good use from my parents, however, who bought it back in the mid 1970s. It was the replacement for an older stereo system that they had which dated back to the early 1960s. That old system was a Heath Kit. One that you built yourself from parts. Various parts soldered together by following instructions. It even had vacuum tubes. With Heath Kit, one got both a hifi system and a learning project for the family. Money for the project came from a big award that my dad won in 1962. I was only a second grader when my dad won something called the Borden Award; an award for scientific achievement in his field of dairy chemistry. My dad was a professor at Washington State University in Pullman. Award proceeds bought our family a train trip back to Washington DC for the awards banquet which was held at the convention of the American Dairy Science Association. Proceeds also bought us that first stereo system. Many hours were spent in our basement soldering together the amplifier. My dad and older brothers took part. When the system was complete, my dad tested it with a new record called "Stereo Action Unlimited." It was exciting, with each speaker operating independently. My oldest brother was less impressed with that record. He was starting college studying classical music which made him somewhat of a musical snob. Stereo Action Unlimited was trash to his musical taste. It must have been plagiarizing and then ruining music from some of the great composers. I remember one afternoon when my brother tried to out shout the hifi while debating musical taste with my dad. My dad was somewhat of a modest man and didn't try turning the volume past 3 out of 10, however. If we would have turned it up to 10, it would have blown out the speakers not to mention possibly cracking a few windows. Less modest were the dorm mates of my 1970s college dorm. It was a cold war on the floor. A constant battle of power among different people's hifi systems. Down the hall were George and Ed with their massive system. George said if the dorm ever caught fire, he'd be running out with giant speakers under each arm. Each one costing around $200 apiece. I didn't compete because I knew I'd be a looser. My system was only a cassette tape recorder. The cassette was at the heart of my first foray into collecting music; that is before I got my MP3 player. Sound quality wasn't good, but at least I had music. Classical music that I recorded from my parents stereo the summer before heading off to college. Music was recorded by dangling a microphone in front of one speaker. The summer before my freshman year, I painstakingly recorded many tunes for my little cassette hoping it would become a defense against the onslaught of heavy metal music that I anticipated would await me in the dorm. My cocoon of nice music worked, sort of. By the time my sophomore year rolled around, my dad had bought a new stereo system; the one who's turntable I just sold. The new system featured a jack where one could output directly to a cassette recorder, bypassing the need for the mike dangling in front of the speaker. Quality was much better so I spent another tedious few weeks rerecording all that music again. For most of my adult life, I haven't used the cassette recorder very much. Instead, I prefered listening to the radio. Now I've got my MP3 player and armed with quick downloads from places like Amazon.com, I'm getting a larger music collection that I've ever had before. It can all fit on a flash card. I grew up with Heathkit, then Fisher HiFi, Teac cassettes and now the ubiquitous iPod. Essential equipment for creative working mind. Interesting blog to read. It's good to see that finally you got the MP3 player, which you were waiting from so long. 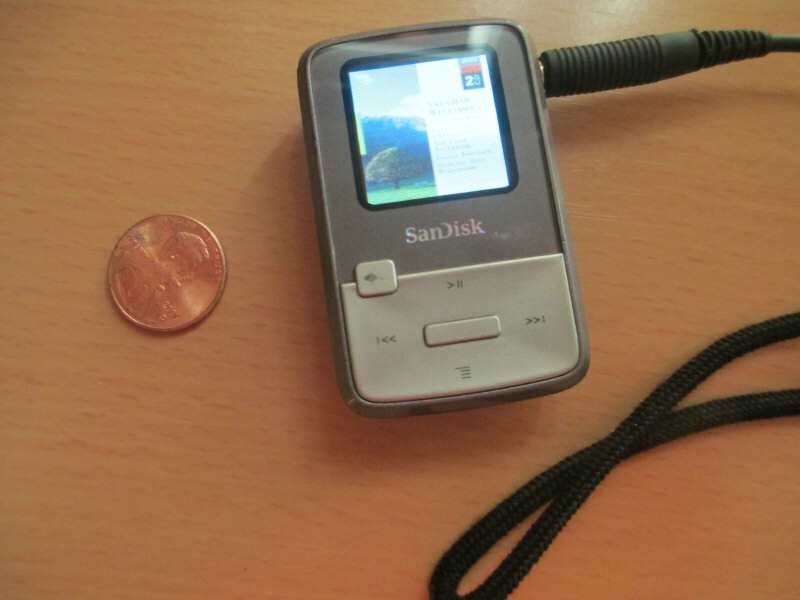 It has become a common desire of all most every youngster today to have an MP3 player.